I hope everyone had a good Valentine's day. I had a busy day at work and at night my boyfriend picked us up some takeout. He got me adorable lipstick pajamas. 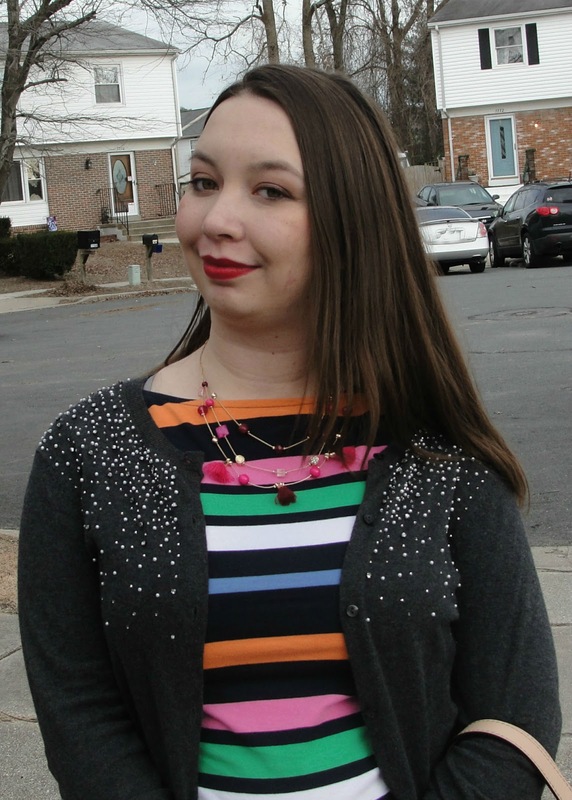 I wore this to a networking group. Those green pants are fun, and I love them played up even more with the stripes and red pumps. Sounds like you had a lovely low-key valentines day. Love the color of your pants! They look great paired with stripes! So cute! Loving the bright stripes! I love your striped top with the green pants! The colors are right up my alley! It sounds like you had a fantastic low-key Valentine's day! 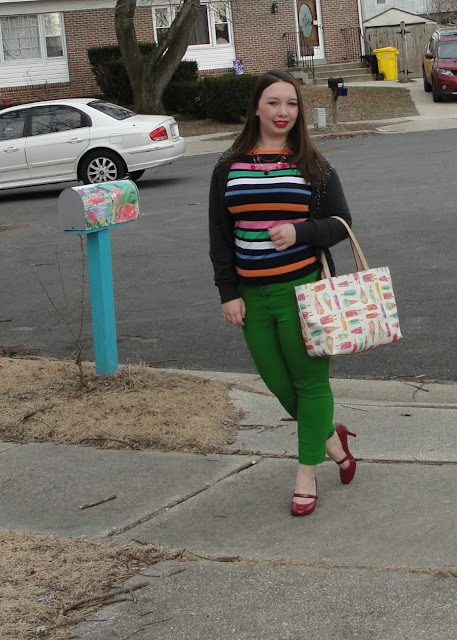 These rainbow colors are so pretty on you and so perfect for spring! I love those bright green pants! I need to break out my bright pants! 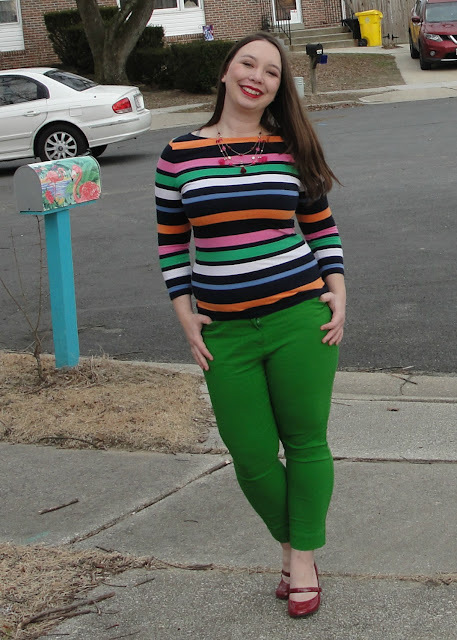 That brightly striped top is so fun with the green pants! Thanks for linking up at Fabulous Friday! Love the Kelly green trousers. So cute! Beautiful color on you! Stripes are so fun! 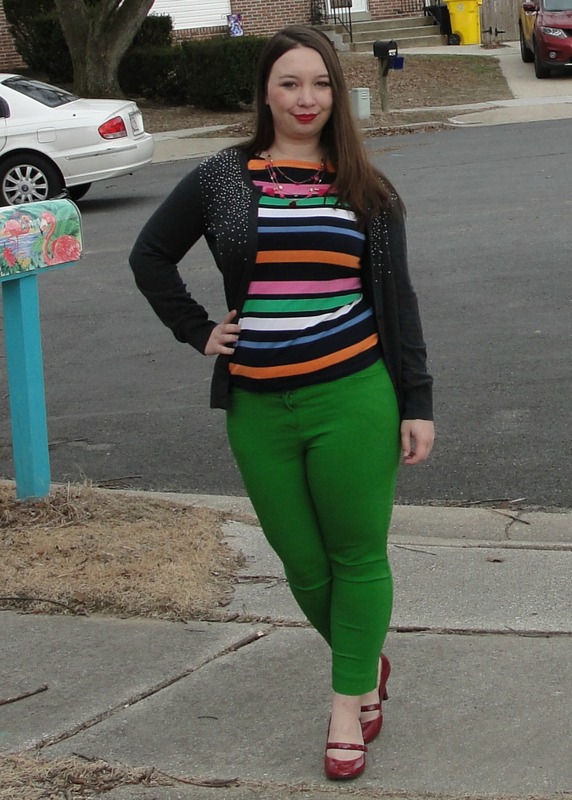 Oh, I Love this bright colorful look! Those Kelly green pants just make me smile. They look wonderful with your bright stripes and red shoes. Thanks so much for linking up with Fabulous Friday! Also, I am currently looking for co-hosts, so I hope you will consider the opportunity. Love the bright green pants on you! Perfect colorful look, and so needed during the doldrums of winter!